Hi Friends! Welcome back to Healthy Grocery Girl! 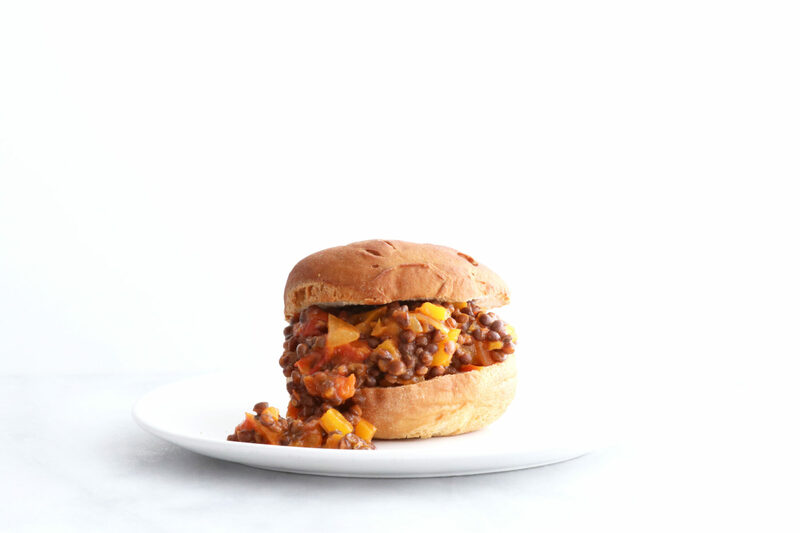 I loved sloppy joes as a kid and this plant-powered version is total comfort food, full of flavor as well as protein! Add the coconut oil to a large saute pan over medium heat, then add the diced onion and bell pepper. Saute for about 10 minutes until the onion turns translucent and starts to brown. Next, add all of the remaining ingredients and stir everything together. If you do not like spice, add a little less or no sriracha. Finally add on a lid and simmer, on low, for 20 minutes. If you are making this for kids who don’t like veggies, I suggest blending the mix at this point into a sauce. Finally add the lentils, stir together and heat through. Ladle onto a gluten-free bun and enjoy!